When I broke the skin on the chocolate pudding, my mouth watered. A tiny taste sucked from the upside-down spoon set my heels kicking the chair. 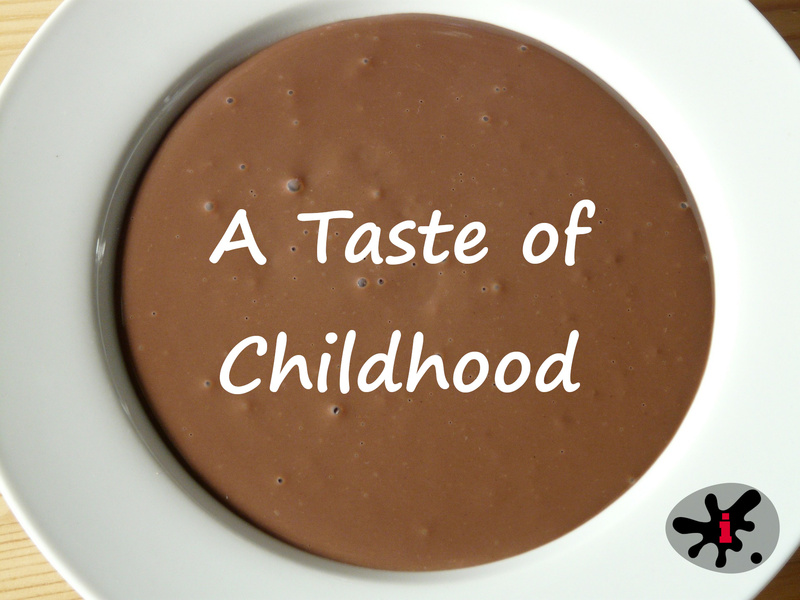 I was a little kid again, sitting on the tall orange stool by the stove, getting to scrape the pot when Mom finished cooking. This is my fifty-worder for this week’s prompt from Jayna Locke (@jayna). Unlike most of my writing for these, this is a vignette. I’m sure that’s a word some of you have heard before but aren’t sure what it means and others have never even heard. A vignette is a piece of a scene, usually something evocative that shows emotion or shows a character. The key difference from a story is that it, quite simply, doesn’t tell a story. It lacks the beginning, middle, and end typical of a story (although you can barely differentiate them in stories this short) and more importantly, lacks plot and character arc. A plot arc is the series of events in a story that lead to a sense of conclusion. Here I have only tasting pudding. Not much happens, does it? A character arc is the process of change–or resistance to change–a character undergoes throughout a story. The arc is generally more subtle in tight microfiction, but in a true story, it’s there. The arc is the sense that the character comes out of the story different than they went in. Or that they stayed the same despite pressures that normally would change a person. For more about character arc, refer to this article. So I hope this helps you fifty-worders out there (and other writers) understand what a vignette is. Once you understand the difference between story and vignette, it’s a whole lot easier to make sure you actually provide a story when it’s your intention. Vignettes like this can be awesome and powerful. But they aren’t complete stories. R. Jean Bell grew up in the United States but has spent the last twenty years in Denmark. A voracious reader since age three, she averages a book a day. She spends her time writing fiction and poetry, doing hobby photography, and being with her husband, horses, and dogs. She is also one of the administrators of the INKubator Writing Community. If you’re a writer looking for a group to help you grow and reach your goals, you might want to check it out. The bex bee image and the bex-with-book image used with book reviews were both created by the extremely talented Matytan.